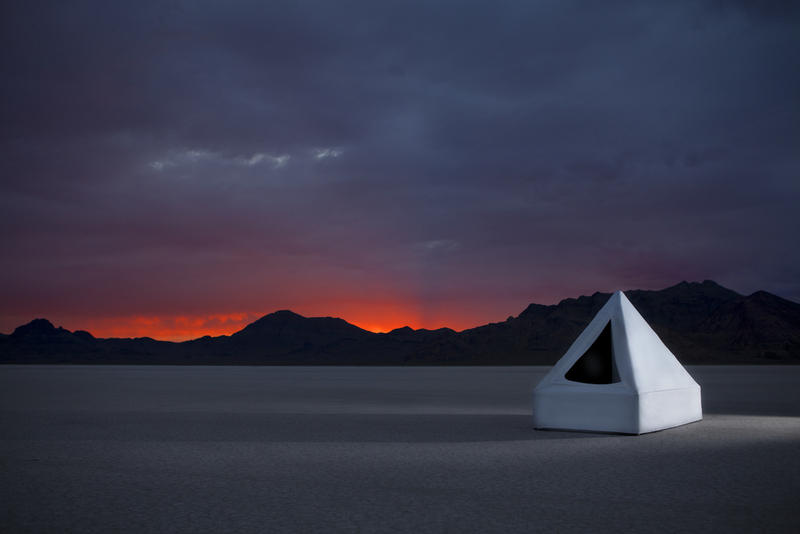 The Zen Float Tent is an isolation tank. Ever seen the movie Altered States? Well…it’s nothing like that. Now that we got that out of the way, let me give you a quick rundown on what exactly an isolation tank is. Also known as a sensory deprivation chamber, it does exactly that…deprives your senses. How does it do this? The tank is well, a tank. Picture a rectangular box about the size of a twin bed. Got it? Now imagine roughly 12-inches of water completely saturated in Epsom salt. The user gets into the tank and lays down, much like you would in say, a tanning bed. The interior of the tank is completely dark (depriving you of sight), and totally soundproof (depriving you of sound). The high proportion of salt in the water renders the user weightless (depriving you of touch). And lastly, both the air in the tank and the temperature of the water are set to match that of the human body, making it difficult to differentiate one from the other. By removing these external stimuli, the mind is then free to operate without restriction. Isolation tanks were first introduced in the 1950s by a man named John C. Lilly. Lilly used the tanks in sensory deprivation research and its effects on the brain. If you short circuited reading that last sentence, just know that essentially Lilly was researching human consciousness. Groovy right? Other researchers like Peter Suedfeld and Roderick Borrie hopped on the bandwagon and continued isolation tank research through the 1970s. And yes, they did what all scientists in the 60s and 70s would do…experimented with mind-bending hallucinogens. However, by the early 1980s isolation tanks had pretty much dropped off the grid. They remained in the shadows, used only by diehard enthusiasts until recently. Within the last 10 years, isolation tanks have seen a resurgence in private and commercial usage. Up until now, if you wanted to float you could either fork over $15K-$30K for your own tank, or drop $50+ for a single-use session at a float spa. Now, most of us don’t have multiple thousands of dollars hanging around in our bank accounts so purchasing a private tank has only worked for a small fraction of the population. And unless you live in a progressive, free-thinking city (i.e., New York, Los Angles, Portland, Denver etc.) that actually has float centers, well then…you’re screwed. By this point in the article your interested should be piqued just enough to want to know the essential question: Why float? I could go on and on about the positive benefits associated with floating, but that might give me carpel tunnel trying to type it all out and you might get bored, so I’ll only give you the highlights. The first and probably most common reason to float is relaxation. The isolation tank gets rid of worldly distractions to allow your mind time to rest, think, and recharge. It’s pretty much like meditating….but way better. Folks who regularly float often report they feel more calm, centered, happy, and balanced. In addition to experiencing all those feel-good emotions mentioned above, floating is also a helpful tool for pain management. Remember how I said the water is saturated with Epsom salt? Well, Epsom salt contains a high proportion of a compound known as magnesium sulfate. In an environment like the tank where the user is immersed in a magnesium rich solution, the salty water has the ability to draw toxins from the body, reduce swelling, relax muscles, aid with skin problems, lower blood pressure, increase the effectiveness of insulin (for folks with Diabetes), and can even help ease problems associated with the common old and congestion. Bottom line? Floating is good for your mind, body, and soul. So now that you’re jazzed on floating, let me wrap up by bringing this whole thing full circle and coming back to the Zen Float Tent. The Float Tent is what it sounds like. It’s a sensory deprivation tent. It maintains all the traditional elements of the isolation tank, but in a new revolutionary design that is affordable and intended for home-use. For less than $1,800 users can purchase the Zen Float Tent and not have to worry about expensive plumbing issues, or time constraints. Set up the Float Tent in any part of your home and float as many times a week as you wish, for as long as you want. This is cool not only for me as a writer, but for everyone in the floating community and industry. It is the first time that floating has been made available to the masses at a cost effective price. Think of the people who can now afford to float…and all the positive rewards from floating they’ll now be able to reap! Don’t know about you, but I’m excited for better vibes to be brought into the world. Many thanks to the creators of Zen Float Tents for making it possible.